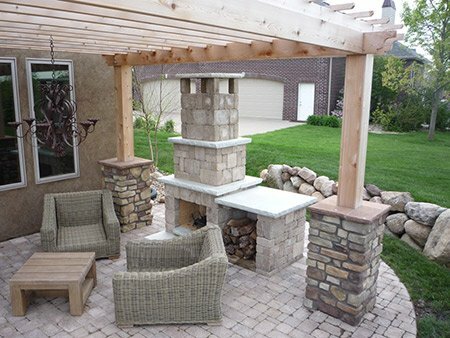 A Pergola helps make the outdoors more inviting! 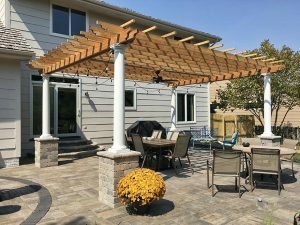 A pergola is an overhead structure made out of wood, vinyl or other materials to make the outdoors more inviting, to extend outdoor spaces or create a shady retreat. With the amount of direct sunlight we get in the Des Moines area, they are a visually stunning and functional addition to your patio. Pergolas add grace, style, comfort and architectural character to your home. We can help you create an environment that truly reflects your own personality and style. A pergola can change the way you think about your home. 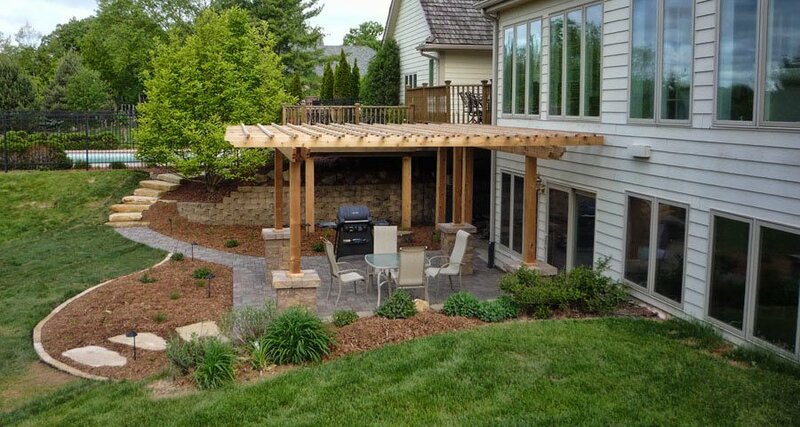 You may find yourself entertaining more often under your new pergola. In many cases the pergola becomes the favorite part of the house. A decorative and attractive pergola provides an ideal focal point for your special outdoor entertaining area and a great place to relax under. We can design and build any size pergola for you. Whether on a deck, patio or next to a swimming pool, you will enjoy the cover it provides. Our pergolas are designed to meet a variety of needs. Call Earthly Possibilities to meet with one of our designers to help you create your customized outdoor living space today!